Especially for EYES ONLY Steven Aalders composed the space-related installation DISPLAY: two black lines painted on the back wall and two transparant colour planes sticked on the window. 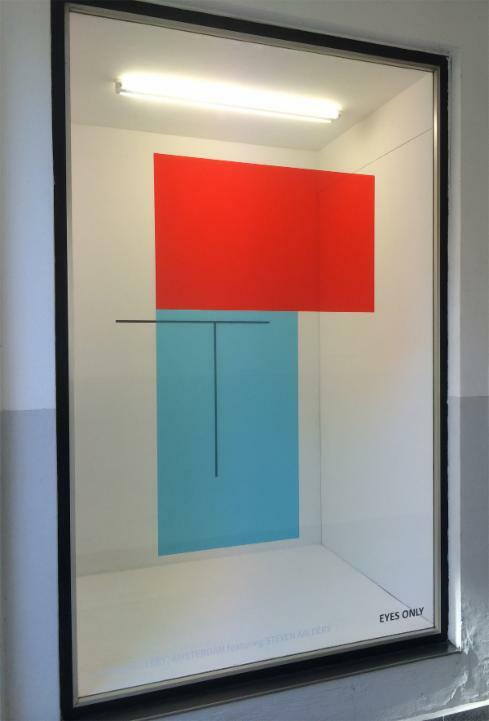 The installation is a three dimensional display of separation of line and colour. The image merges and falls apart while walking along. Steven Aalders (*1959) studied at the Rietveld Academy in Amsterdam, at Croydon College of Art in London and at de Ateliers in Haarlem. After winning the Royal Award in Painting in 1986 he stayed in Barcelona for a year. In addition to appearing in numerous international exhibitions, his work is included in private and public collections, such as the Stedelijk Museum Amsterdam, AKZO Nobel Art Foundation, Caldic Collection, ABN AMRO Bank Art Collection and Museum Kurhaus Kleve. 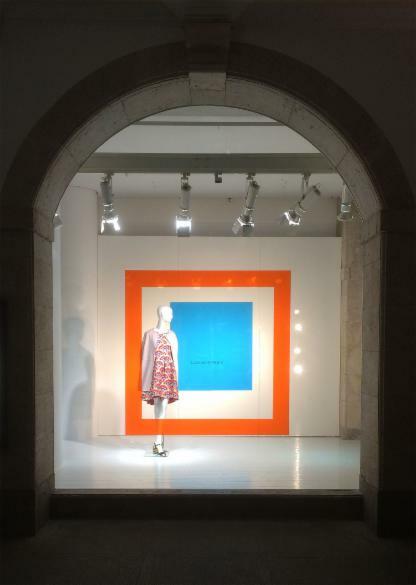 The room installation entitled FRAME consists of 12 transparent sheets of film in six different colours. A square has been cut out of each sheet resulting in turn in 12 frames. 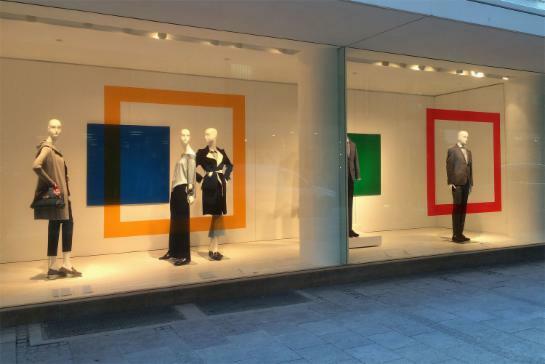 Depending on the position of the viewer in front of the display window, these frames and squares shift and overlap giving rise to ever new colour gradients. The work is about combining and separating form and colour in relation to space, interior and surrounding.